I finished all the assignments for one of my grad classes and am on the homestretch for the last class, Creative Schools. My major goal is to finish before my birthday which is just around the corner! I've done some deep learning and am excited to implement changes in my library this next year based on the two books I read. My stepsister, Robin, and her family came to town for a weekend. I made these delicious dairy-free rhubarb-pecan muffins for breakfast one morning. I liked that the recipe had orange juice and orange zest as ingredients and I substituted lemon zest because that's what I had. They were really easy to pull together and came out nice and soft. Diana, my niece was my assistant baker and took care of all the mixing and measuring. 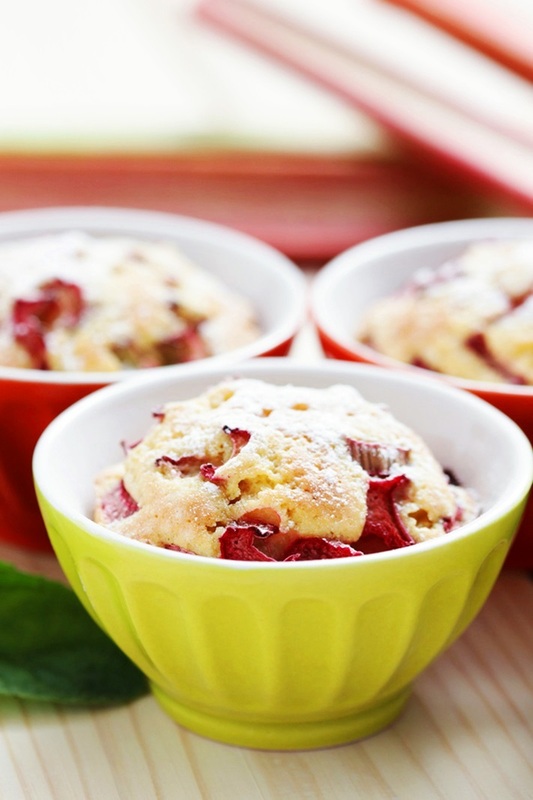 I found lots of great rhubarb recipes and these muffins at Thyme and Love look really good to try too. I'm on the last legs of a major summer cold, luckily it's lasted just about a week. We've gone through a major amount of kleenex between G.G., husband and myself. Which by the way he finished RAGBRAI on Saturday in good spirits. I'm happy to drop him off for his start and I'm happy to pick him back up again, safe and sound. Ragbrai is his happy place. Yesterday I hosted my 2nd annual Croquet & Cocktails game and it was perfect weather for it. We had snacks and margaritas and hit the balls around with heavy mallets in thick grass. It was a perfect summer break with teacher friends especially because that morning I'd finished the 3rd module of this last class. Today I started on module 4 and should be able to finish in the next few days. I'm school obsessed right now. What have I been reading other than Creative Schools and Formative Five you ask? 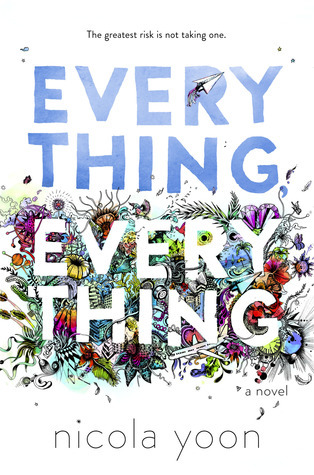 I finished Everything, Everything by Nicola Yoon. Thanks to Verda and Sela for the push to read it. Now I have to find time with Groovy Girl to watch the movie. She was dubious about the story; she liked it, read it just a few days, but was like, that wouldn't really happen. Maybe she is more of a nonfiction, biography reader? I loved the story and yes, it is somewhat unbelievable but that's what fiction is! If you haven't read it please pick it up from your local library. Quick review: Madeline is sick and she cannot handle outside germs so she has been inside her (fancy) house for years. One day a new family moves in next door and she meets a boy, Olly, through the window. Her house nurse, Carla, conspires with her so the two can meet inside her airtight, vacuum sealed house. Young love-it can't be beat. What would you do for love and how do you protect those you love? 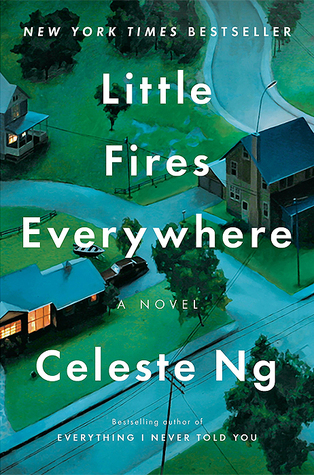 I'm now reading Little Fires Everywhere by Celeste Ng. Until I finish the very last homework assignment I only have a few minutes to read at night. This one is very good though and I'll read more by both Ng and Yoon. What are you reading? What have you filled your summer up with so far?